This course is for those wishing to professionally master the art of working 1:1 with an individual using the IFEEL Method of Equine Facilitated Human Development (EFHD), a behaviour change process for human development, growth and learning. This course gives facilitators the skills and tools they need to assess the suitability of EFHD inventions for human development, growth and learning and to be able to facilitate and evidence the outcomes of a client’s human behaviour change process using the IFEEL Method of EFHD. The training certifies qualified counsellors, psychotherapists, psychologists, executive coach or organisational development consultants and horse professionals to use the IFEEL EFHD Method as a human behaviour change intervention, within their scope of professional practice (i.e. to work with specific client groups that require specialist training and expertise). For applicants with no previous professional training, this qualification is a psychological wellbeing or life coaching qualification that certifies 1:1 work with individuals, using a behaviour change intervention for human development, growth and learning. EFHD graduates who want to qualify as clinical practitioners, working 1:1 with individuals and delivering workshops for groups, can follow on with the next 2 years of training to the Diploma in EFPT and then the Advanced Diploma in EFPT. This is a part time programme and it is taught through a combination of on-site modules and distance learning elements, typically delivered over an 8 month period. The modules are delivered in three blocks of five days onsite training with the IFEAL Q faculty. Written assignments, a reading list, case studies, horsemanship theoretical and practical assignments, a supervised client session and a focus on practical skills work. You can see the full faculty profiles on this page. All IFEAL faculty are experienced in EFHD and bring many different skills and knowledge to the courses, including traumatologists, counsellors, psychotherapists, autism specialists, business coaches and horsemanship instructors. There is a high student to faculty ratio, typically at a 2:1 faculty member to student ratio, ensuring you get the 1:1 time you need. In addition to this, one of the faculty becomes your dedicated mentor, who you have four 1:1 calls with during the course. You are also in a mentorship group with your mentor and at least 1 other student for tutorials and two group calls. There are also opportunities for private mentorship sessions with Kathleen Barry Ingram, co-founder of The Epona Apprenticeship programme. Facilitation skills and human change processes with focus on client’s safety, stabilisation, regulation and containment – key functions of successful sustainable human development and change. Clinical and wellbeing assessment protocols for the formulation of relevant EFHD treatment plans and to evidence the clients change process. (IFEAL collates qualified EFHD facilitator client data for research in order to prove efficacy of IFEAL methodology). Theoretical knowledge in order to improve equine ethical standards. Relationship based skills and awareness. The tools, techniques and applications of working with horses as co-sentient partners for human development and change. Supervision, mentoring, assessment and mapping of facilitator’s own personal and professional development and client ethical considerations and accountability. Increasing self-awareness for both clients and facilitators. IFEAL Q is currently the only organisation to offer EFHD training courses that blends these seven key disciplines together into a powerful training modality that safely and professionally facilitates human growth and change. How is the course accredited? The Crossfields Institute Level 5 Certificate in Equine Facilitated Equine Development is the first Ofqual regulated qualification in equine therapy in England and is recognition of the high quality training we provide. Ofqual is the regulator of qualifications and examinations in England and this means that you can be confident of a high quality learning experience. This course is quality assured by Crossfields Institute’s Quality Assurance Team and has an External Quality Assurer with Crossfields who is an independent person who manages the quality of the programme and visits us to monitor the quality of assessments, ensuring qualifications are delivered in line with regulatory requirements. In addition to our Internal Quality Assurer who is responsible for ensuring that consistent and reliable assessment decisions are made by the assessors and for monitoring the quality of the assessment process for all learners. This ensures that you can be confident in the quality of the programme. This course is level 5 on the Regulated Qualifications Framework (RQF), click here for more information on what that means. The level 6 and 7 courses, which this level 5 Certificate is the first part of, are professionally accredited with the NCP and are on the NCP Approved Training Courses list. This mean the course has met all the requirements including a minimum number of classroom training hours, supervision during and after training, opportunities for group interaction, the chance for students to experience and practise the intervention taught on the course and the regulations regarding minimum number of core staff, complaints procedures, continual assessment, Code of Ethics, insurance and feedback systems therefore ensuring student welfare and graduate professional credibility. Students are eligible to gain student membership once enrolled on the course and on graduating from the full level 6 or 7 diploma students can gain full professional membership and can work towards the advancing professional membership categories. The NCP ensure that all their registered members have full insurance, supervision and Continuous Professional Development (CPD) and agree to a code of ethics in regards to clients thus ensuring the highest standards for client welfare. SAFE Professionals promotes Practitioner standards in regards to the quality of qualifications, levels of CPD, supervision, insurance and professional membership and the equine code of ethics, in order to promote the best standards in client care and equine welfare and wellbeing. Become a professional EFHD Facilitator. Gain the Crossfields Institute Level 5 Diploma in Equine Facilitated Human Development (VRQ) certificate (Cert. EFHD). Start a professional practice with insurance and professional membership. Learn on a course which has professional and educational accreditation, which ensures a high quality learning experience. Become a member of Standards for Assisted and Facilitated Equine Professionals (SAFE Professionals) (MSAFE) and have a SAFE Professionals website directory listing. 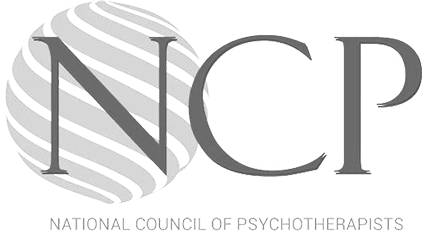 Become a student member of National Council of Psychotherapists (NCP) on enrolment and work towards advancing membership grades. Increase your earning potential through adding skills to your existing practice or by starting your own private practice. Learn more about yourself and grow as a person. Be on the forefront of this exciting and evolving field on the UKs only Ofqual regulated level 5 EFHD qualification. Learn with a diverse, passionate and dedicated faculty. Learn in a friendly and supportive environment from professional facilitators. Make meaningful connections with your cohort and become part of a network of practicing professionals. Gain a new level of equine understanding and relational horsemanship skills. First step onto further learning on our more advanced courses and a career path to psychotherapeutic practice. Complete a professional qualification which works around your other family, work and life commitments. Our course attracts individuals from all a variety of different backgrounds , from mental health professionals, professional business coaches and consultants, equine professionals, health and well-being practitioners and those who wish to develop a professional practice in EFHD. Our students travel from all over the world to attend, past students have come from Spain, Austria, South Africa, Lebanon, all over England, Wales and Scotland. The course format works well for those traveling from further afield due to the 5 days blocks with distance learning in-between. The minimum age to attend the course is 21, and we have had students whose ages range from anywhere between 23 to 72. Each cohort has a limited number of places, with no more than 12 students attending. This gives more participation time for each individual and enables the course to be more responsive to the students’ needs. There are no previous qualifications required to apply for this course. For full prerequisites, please click here. For full details on how to apply, please click here. The Fast Track course is for those that have previously trained elsewhere and are looking to upgrade their existing training and gain an accredited and Ofqual regulated qualification. Please click here for more details. The course is held in the heart of the Sussex Countryside in Withyham, East Sussex. It is a retreat like setting in an English country home property with a purpose build classroom from a converted stable building. Along with stunning views and country footpaths surrounding us, there is an orchard and a tipi in the warmer months. The horses’ fields come right up to the classroom and it is not unusual to have a horse’s head through the window during class time. The horses live in a free ranging herd, with open shelter available. The welfare and wellbeing of the horses is of paramount importance to us, and you can find out more here about our equine philosophy. Lunches are provided on the course and are supplied by the local organic and biodynamic farm. All food is vegetarian and other dietary requirements are catered for. All refreshments are included, with a range of teas, coffee, biscuits and fruit available. Our Training prices are currently being reviewed. To take advantage of the advertised prices please book your place for the 2020 Crossfields Institute Level 5 Diploma in the IFEEL Method of EFHD (RQF) by the 1st October 2019. Deposit and Registration payable ASAP to confirm your place on the course. 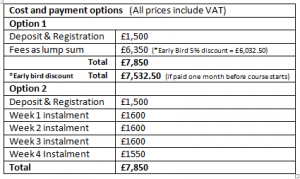 All fees can be paid in advance to receive the early bird 5% discount if paid in full by 1st October 2019, or can be split across the course at the new rates. Our new fees for 2020 will be published shortly and will come into effect on 2nd October 2019.